April 01, 2019...God Bless America, Land of The Free! No Fooling! Look for New Tunes and Book!!! I've been listening to your cd quite a bit while I'm driving around at work...it's excellent, nice re-works of the old stuff and I'm now a fan of your new tunes! Shy No More and Big Blues (Annmarie's got a killer voice!) are my current favs! Also, nice production, it sounds great too. For your listening and dancing pleasure! "Adopted Son," my first release, is now available. 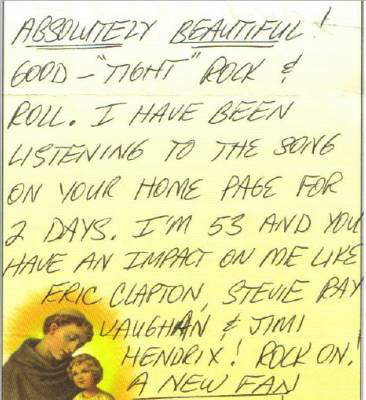 this cd is an eclectic collection of Jeff's musical influences. 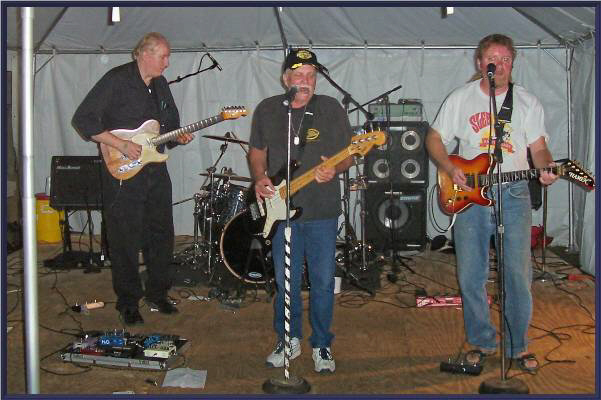 Rock, Blues, British Invasion and Southern Styles, with a hint of Jazz. Every other month, starting in February. Let's keep Teddy's Vision going! The All Styles Open Mic had it's final jam on November 11th, 2014! Thanks for the memories! Please keep the memory of Glenn Hubner in your hearts! The bands I perform with now includes The Kootz, Biggie G & Jimbeau (Retrocasters/Retrofitz Duo). 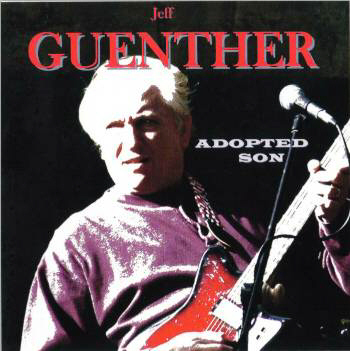 Jeff Guenther's Retrofitz, Ross Pilot & Formation, Guenther-Toft Band and Trenton Makes Band! Looking forward to shows with these bands!!! (The rest of the band), Lee, Ronnie and Jim, the sound man! 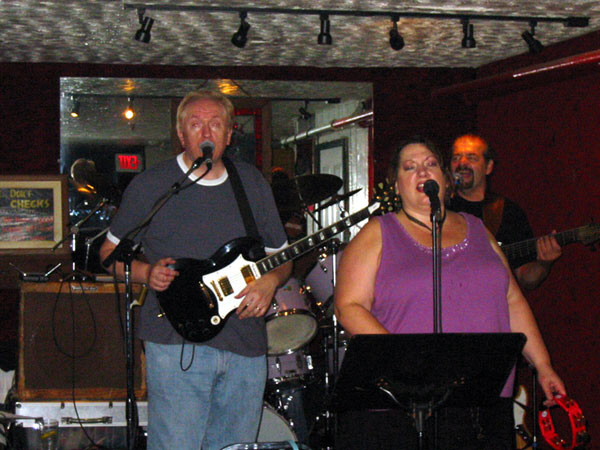 Retrofitz/Open Mic drummer Glenn Hubner has passed away. Glenn will be missed. Look for Jeff Guenther's Retrofitz and Jeff Guenther on Facebook and ReverbNation! Thank you all for four years of wonderful memories! for our brunch show on May 27th 2012! Jeff and Annmarie enjoyed appearing at Scerbo's! Look for us to perform at other venues in the area! Jeff Guenther Traveling Open Mic! Looking for homes and venues. I'll post dates as they come in. We had a blast in 2012! Clams 'n Jams was a ball! Teddy Z Memorial Jam at The Ivy Tavern! Jam runs 7-11, looking forward to seeing my Trenton Area Friends! The Publick House, Chester, NJ! Amazing Grapes, Pompton Lakes, NJ! Look for more Bremy-Guenther-Dente shows in 2018! "Taste Of The World." It was a wonderful event. Retrofitz hopes to be a part of it again in the coming years! ready to play to a packed house! 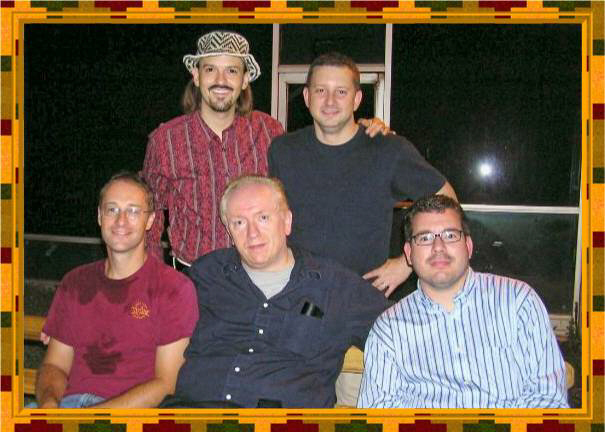 Sat., Sept 11th,2010, with the Vince Martell Band! The Lon Van Eaton Show! Hot Rod's Real Pit BBQ! Tuesday, December 23rd, 2008. Look for video clips! 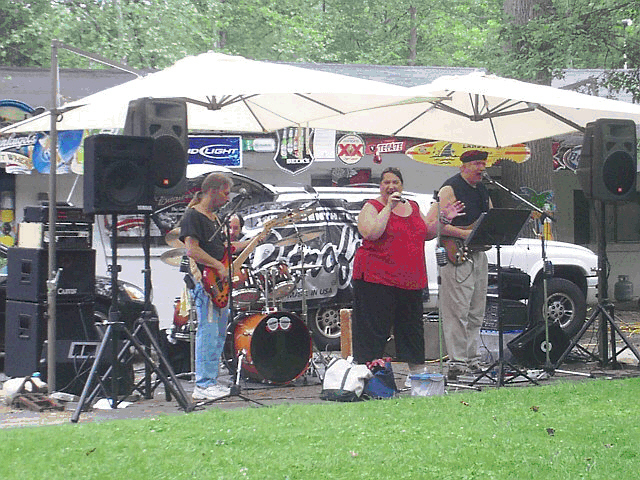 Here's a fan's picture from our July 6th 2008 Outdoor show at Island Park! Thanks, Rolling Thunder; you were a great audience! We will miss you, Frank! Jeff, Bill & Kurt Gebauer, Junior High rock group "Something Different." Private parties are lining up; be sure to book yours! Roger LePage is back gigging with us too! at McCoole's Art Place. Thanks to Mike Stanley and everyone who participated in this great event! we rocked our hearts out for them! Located on Rt. 611, four miles North of Rt. 22 in Easton, Pa.
Retrofitz returned once again to rock the crowd at the Madison Community Pool Moonlight Swim! This year's date was Saturday, August 7th...it didn't rain!!! 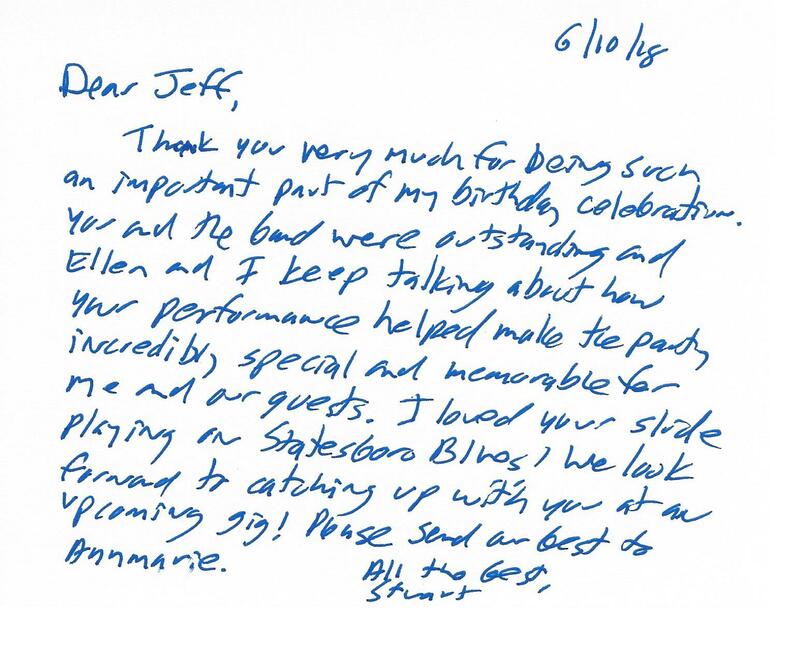 Thanks again, Dawn...this was our seventh straight year! Thanks to all who attended! of the Ivy Tavern, Sunday, September 17th, 2006. Left to right, Jeff, Mike McCoy and Brian Pelletteri. There are lots more photos on the Ivy website. 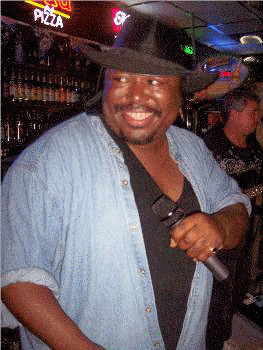 Saturday, April 28th, 2007, I got down to the Ivy Tavern & sat in with Slo Motion Band. Boy, what a great time! From left, we have Freddie on the B3, myself & Gene on guitars. Next, we have Ted, the lead singer, who's always smiling! I must say that Slo Motion is a band worth playing in! Celebrating 50 (yes, fifty!) years of friendship as of August, 2005. Jeff and Pete are doing that Retrofitz thing. Jeff is sure enjoying Pete's singing and his brand new custom made Michael Tobias Design bass! This is one of many great photos my sister Gail took. Pete, don't forget to sneak "Day Tripper" in there! I joined Ernie White for the 2004 Christmas Extraviganza at the Coduit, Trenton, New Jersey. The date was Wednesday, December 22nd. Over $8,000 was raised! 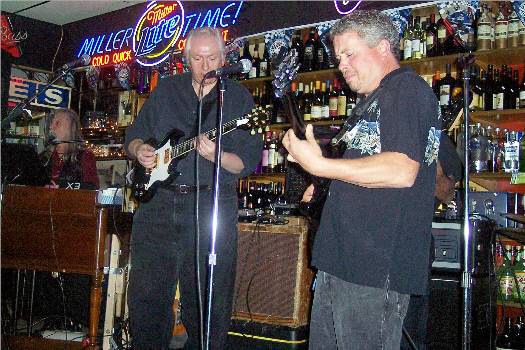 Here is a shot of two of my favorite blues guitarists, Joe Zook and Paul Plumeri, tearing it up. Ernie's son, Mike, is on drums and Joe's bassist, Billy Holt, is right behind Paul. We're playing Taking Care of Business, announcing Santa. I'm second from the right, Ernie's second from the left. Many of you have asked this question..."What guitars do you play?" I play Gibson, Fender and Ibanez guitars and, when I get a chance, MV Pedulla Buzz Fretless Bass. Billy at Dave's Sound reved up Jeff's Jackson Soloist...boy, does it rock now! Wind, Shivers, Andi Rosell, Gerry Rodell...and many, many more! Here is a pic that proves I graduated from Berklee with Tony Bennett! Here's a trivia question...what was Heaven's Sundae's other name? This was just before our first breakup in the early 70's. Two things Mr. Bremy brought up...our first name was "The End"...then, towards the end of the group, we called ourselves "Doctor Frog"...where do those kids get these band names? If anyone has any pictures from any of my bands, ie. Heaven's Sundae, Wind, Blue Eyes, Shivers, Hayden Brothers, etc., please let me know, so we can have them scanned for the site. Thanks! Let's all go for our dreams...the world will be much better off for it!